The Road to the Horizon: Tips & Tricks: What is an RSS feed and what can I do with it? Tips & Tricks: What is an RSS feed and what can I do with it? There are a number of ways that you can subscribe to or get automatic updates from "The Road". The main one that our readers use is our RSS feed. What is it, and what can it do for you, as a reader or as a blogger? RSS or "Really Simple Syndication" is a technology used by millions of web users around the world to keep track of their favorite websites. RSS is best described as a "news feed" one subscribes to. These days it is rare to find a website not offering RSS feeds. In the "old days", the only way to keep track track of updates on a website, you had to visit the site regularly. You could to "bookmark" your favourite websites in your browser and manually return to them on a regular basis to see what had been added. The problems with bookmarking is that it can get cumbersome when you are trying to track many websites at once, you might miss information when you don't check regularly and you do a lot of work in vain as the site might not have any new posts when you check it. What if you could tell a website to let you know every time that they update? This is what RSS does for you. RSS gets you the most up to date information so you can read it in your own time. It saves you time and helps you to get the information you want quickly after it was published. It’s like subscribing to a magazine delivered to you periodically but instead of it coming in your physical mail box each month when the magazine is published, it is delivered to your "RSS Reader" every time your favorite website publishes updates. The first thing you’ll want to do if you’re getting into reading sites via RSS is to hook yourself up with an RSS Feed Reader. 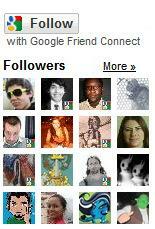 There are many feed readers available. A couple are free, and are web based ones like Google Reader and Bloglines. Both of these feed readers work a little like email. As you subscribe to feeds you’ll see that unread entries from the sites you’re tracking will be marked as bold. As you click on them you’ll see the latest update and can read it right there in the feed reader. You are given the option to click through to the actual site or move onto the next unread item - marking the last one as "read". If you are more adventurous, you can also use more customizable readers like MyYahoo, MyGoogle, MyMSN, Netvibes, Pageflakes or Newsgator. There are two places to look for a site’s feed on the website and in your browser. In most cases it’s as simple as either copying and pasting the link associated with the button into your RSS Reader or clicking the button and following the instructions to subscribe using the feed reader of your choice. On The Road, I stored the most popular RSS newsfeed subscriptions all on one page. To quickly and easily subscribe to a site, simply click on these icons. You will have to to set up your browser for your favourite news reader, such as "Google Reader" or "Bloglines", though! 5. 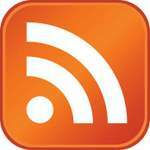 Don’t want to use an RSS Reader? Try updates via Email! If the above explanation all just seems a little too complicated, or if you want to read your site's updates offline, subscribe to RSS feeds via Email. You can unsubscribe at any time, your email will be kept private and not used for any other purposes than to send these daily updates. No spam, guaranteed! Here is a sample of an Email update. A video summarizing this post, from the famous series "In Plain English"
7. If you are a blogger, what does RSS mean to you? Apart from your own RSS feed, which allows your readers to keep more easily up to date about your site, you can also re-use feeds from other sites. Why would you do that? Well, it does spice up your blog. Look in the side column of The Road, there are quite a few RSS feeds I use. One is for the most recent comments people left on The Road (the comments are an RSS feed), my most recent Tweets, and the latest humanitarian news articles. On my other sites like The Other World News, AidNews or NewsFeeds, I use RSS feeds extensively. In this post, I explain the technical background of how I manipulate and tweak feeds before I.. well... "feed" them into a blog. More Blogging Tips & Tricks on The Road. This post was inspired by ProBlogger, an endless resource for the serious blogger.